Today is July 16 expiry day for all Options and Futures trades that are for the month of July 2016. They will expire today at 3.30 pm. It is advised that you close all your July 16 expiry Options which are In The Money (ITM) – you can leave Out of Money (OTM) Options to expire worthless, and ALL Futures trades today before 3.15 pm, in fact if possible before 3.00 pm as after 3.15 pm your broker’s risk management team will close it at market rates and you will have to accept whatever the rates you get. Some of the brokers have automated this system which starts at 3.15 pm. It is therefore better that you close it yourself. Please note that the Options and Futures derivatives for next month or any other month in future will not be closed. Only those which are July 16 derivatives will be closed today. So the rest you close if you wish, but derivatives expiring July 16 cannot be traded from tomorrow so they will be forcibly closed if open at 3.15 pm today. It’s better to avoid this situation so close them yourself to know the results of the trades. Learn Conservative Option Course which you can do at your home. Actually it differs from broker to broker. Some close it as a risk management policy – especially the big ones. Some do not and let the market decides what to do with open trades. I think its also mentioned in the post. 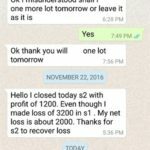 But what I am trying to say is it is not good idea to leave to others to do the trading with your money. It is better that you close it yourself. Personally I do close if open but the choice is yours. I am a very conservative man and serious about my trades which I want to control myself and not let anyone else control it. My point is to spread knowledge rest its readers choice to follow or not. Thanks.